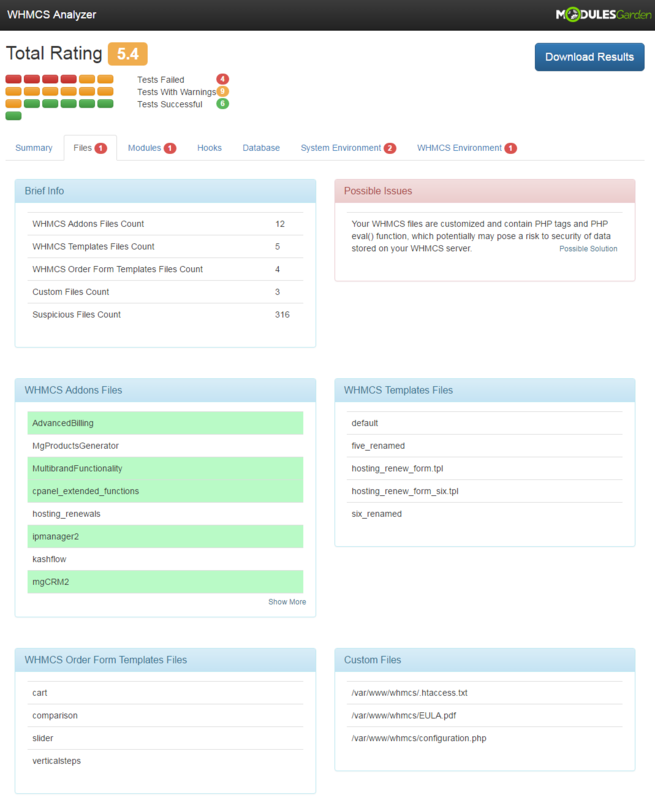 WHMCS Analyzer is a highly practical, free tool designed to enable you to swiftly scan your server and system environment in order to assess its overall condition and inspect for signs of possible damage. 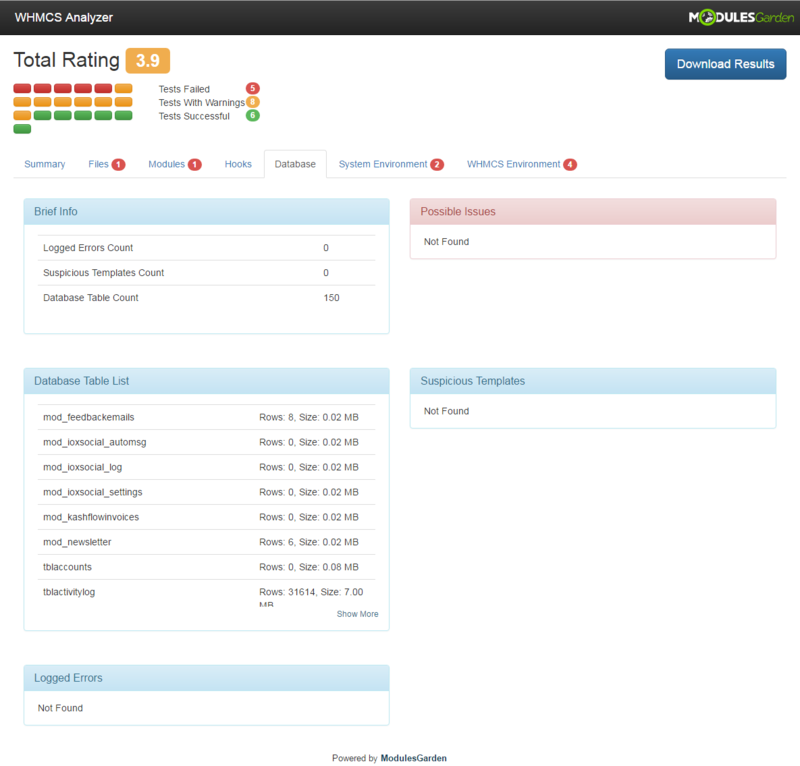 The script will allow you to conduct a meticulous analysis of your technical infrastructure. 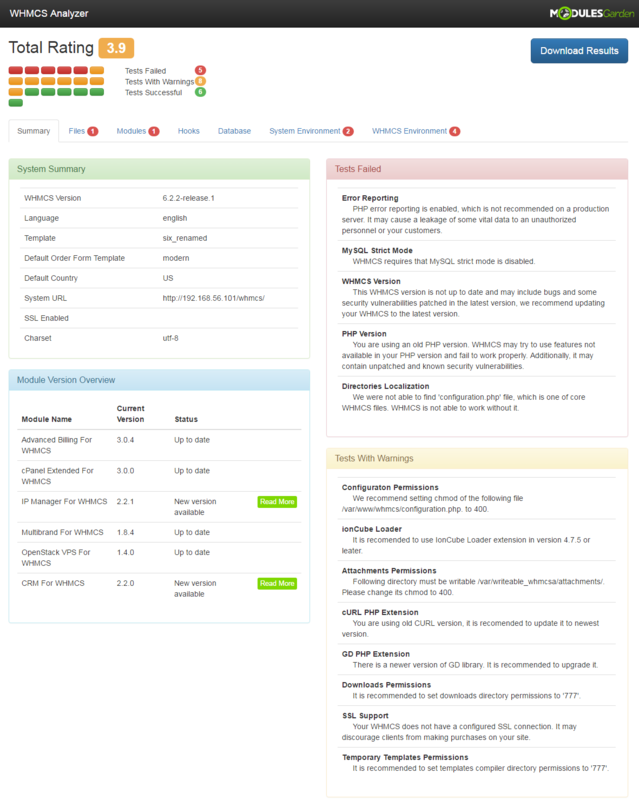 From server, PHP and apache settings to all manner of data in your WHMCS, including active payment gateways, registrar and provisioning modules, addons, hooks and database - these and many other aspects of your environment will undergo an in-depth examination. 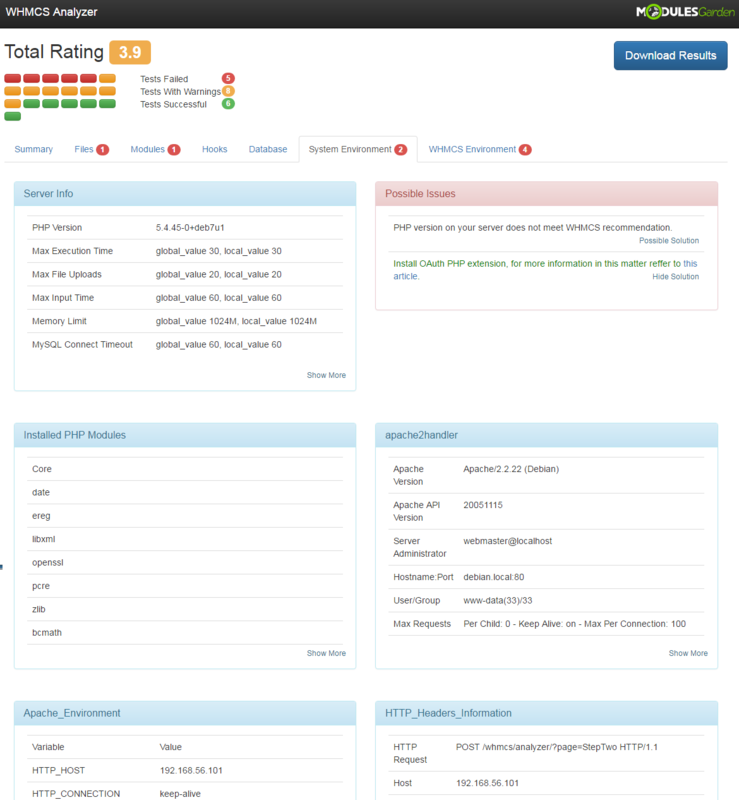 The end results will then lay a basis for you to verify server compatibility with WHMCS requirements, determine the level of system modification as well as identify any issues in advance. 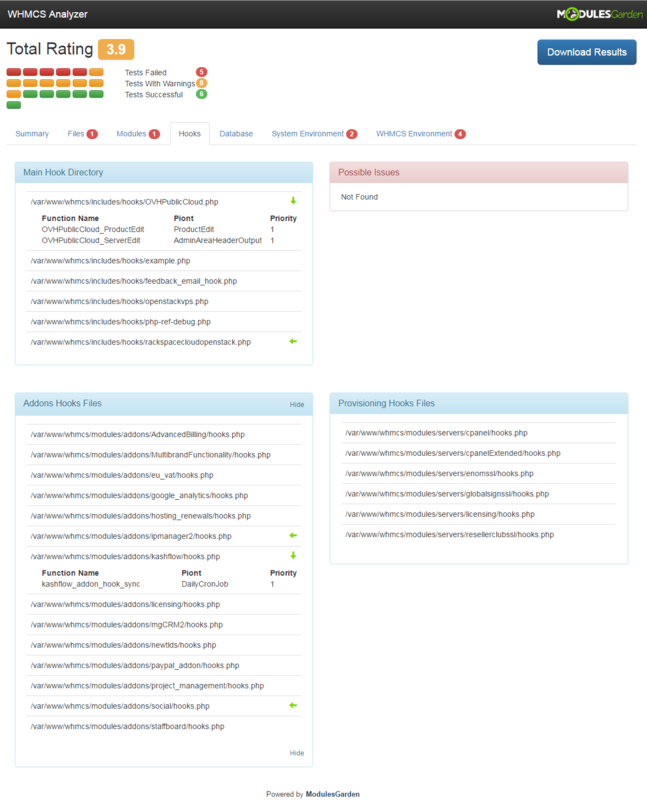 What is more, not only will the issues be pointed but also you will find there suggested solutions to help you counter the risk to your WHMCS. 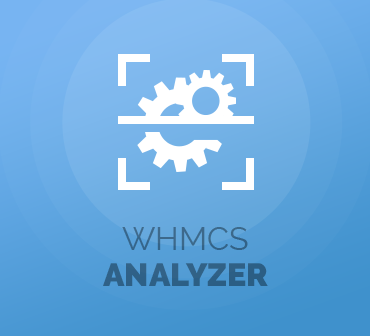 Download WHMCS Analyzer without any costs and make the oversight of your system health a positive routine for the good of your business! 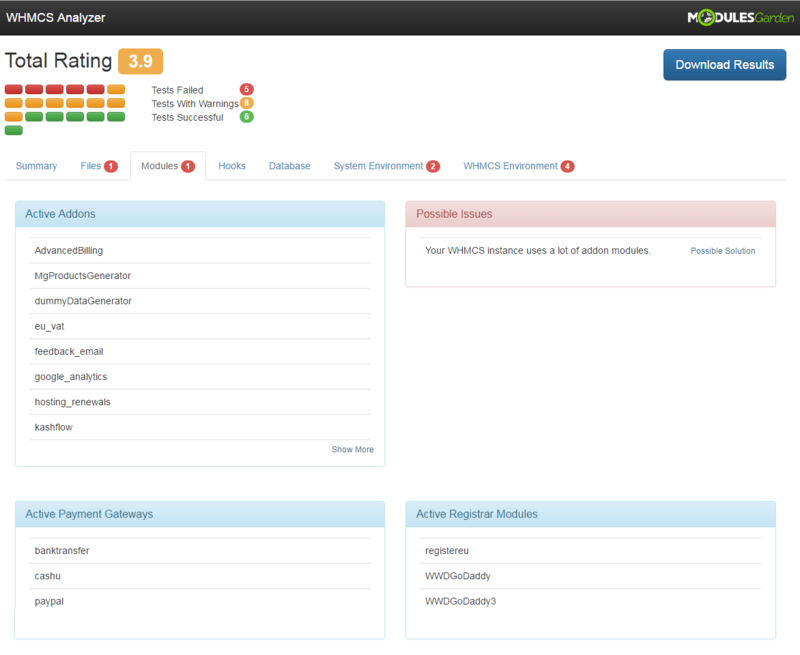 Please be advised that WHMCS Analyzer is not compatible with WHMCS V7 yet. 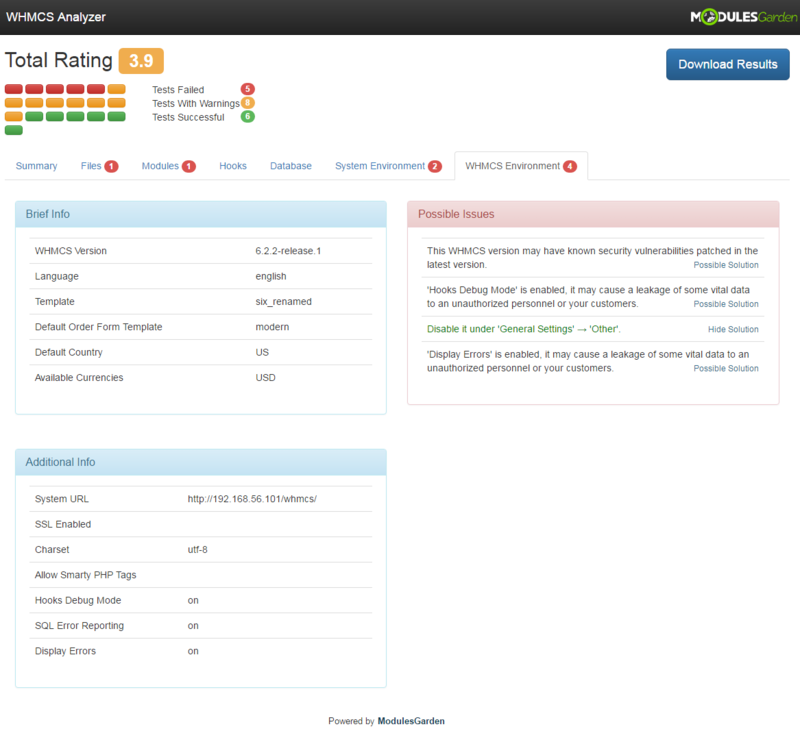 The update is due in the near future.